Never underestimate the power of planning your interior design project according to a well-defined process and superior project management. It’s amazing to me how many people take on DIY projects without knowing what they’re stepping into. My hat is off to those of you who can do this well. However, I’m usually meeting those that have tried and need to be rescued! Ideally, for new builds or large-scale renovations, I can’t stress enough the importance of a client meeting at the blueprint stages with an architect, a builder and an interior designer present to collaborate on a discovery mission. Much more creativity can be accomplished, time is saved and mistakes can be avoided when this collaboration occurs. Interior designers probe with the end goal in mind: furnished spaces that balance the client’s desired aesthetic and function. Builders and architects, albeit with best intentions, often don’t think this far. This carries risk because a room size on a blueprint may look in scale with the home, yet not accommodate that extra large sofa the client has envisioned using. I also recommend the design team meet with all decision makers at key milestone meetings so that efficiencies are optimized and surprise goals or objectives don’t surface later in the process. Your hired professionals use proven processes every day. Be sure your team clearly explains their process (preferably in writing to capture all the details) so that you have a comfortable understanding of what’s going to occur. It’s perfectly okay to inquire and be curious how your project is evolving. However, allow your team to do what they do best with your best interest in mind. Two-way communication is key for any collaborative process to work well. We believe in being open and honest, bringing solutions to issues that arise which earn our clients’ trust and referrals time and time again. We spend a lot of time on continuing education, following market trends and sourcing new products. Your team should be using trusted resources that carry warranties or quality reputations in the industry to ensure that the textiles and materials chosen will serve their intended purpose well. Paying attention to things like grout type, stone porosity, fiber content, surface texture, etc. are unbelievably important in sustaining your initial results over time. My clients are so relieved when they can turn over the reigns to their team to manage their project! In order to have the confidence to do this, the client should be provided a detailed time and action schedule so expectations from all parties are clear. This is often found in the professional’s contract or letter of agreement. A well-executed schedule often eliminates confusion and unnecessary stress so the client can enjoy the process. We always check to see how our schedule intersects with any personal events our clients have planned so that we can manage the various project stages appropriately. And again, communication cannot be emphasized enough during this time to ensure a successful result. We consistently seek feedback from our clients during all stages of their project to make sure we’re clearly articulating, interpreting and delivering their goals. This high level of communication has proven to diminish stress for them and allow them to better enjoy the project. 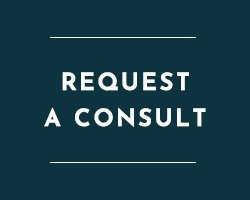 At Nicole Arnold Interiors, we’d love to guide you through your next major project. Call us and let’s create your perfect project plan!